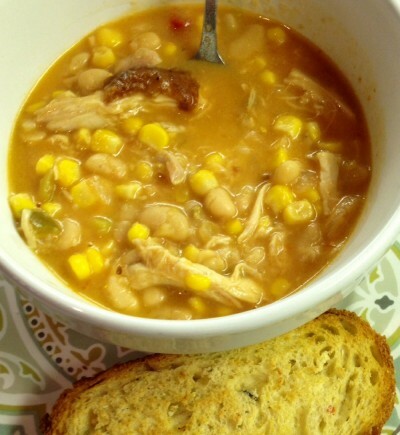 Want a recipe for a soup that’s delicious and hearty and full of flavor? I bet ya do! 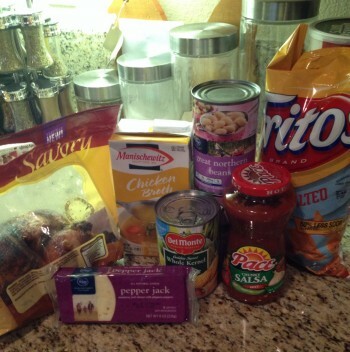 So take out your handy-dandy crockpot and let’s get started. 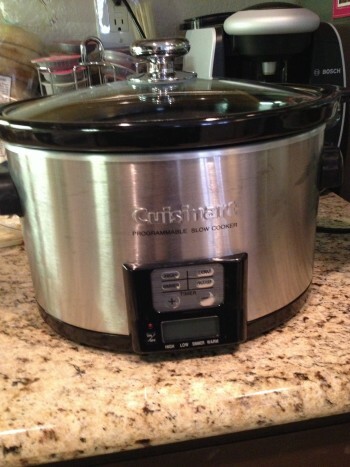 If you don’t have a crockpot, the stove will work just fine. This recipe was given to me by a friend of my mother-in-law’s, and I am so grateful to have this wonderful recipe in my collection. It’s that easy go-to meal that I’m sure you will find yourself going to time and time again. Turn on your crockpot to high. 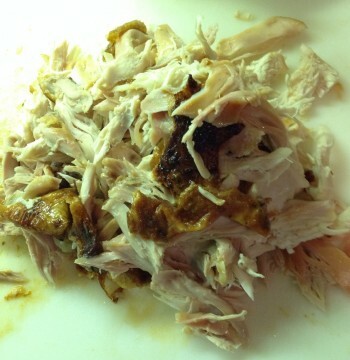 I was able to get about two cups of chicken from the whole roast. I accidentally added the crushed Fritos too soon. The recipe says to add it ten minutes before serving. So while the soup is still cooking, ten minutes before you’re ready to eat, pour in the 1/2 cup of Fritos. The recipes says to add two cloves of crushed garlic and a tsp of cumin. If you have it, then add it. 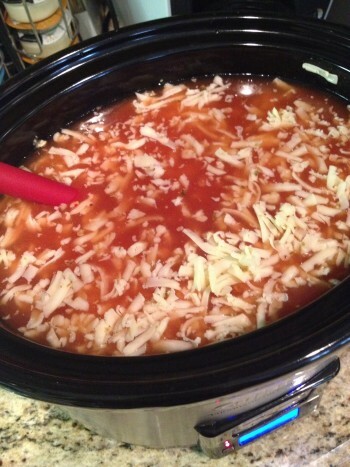 Next time I make this I think I will add some diced onions to the soup for garnish and extra flavor. Sprinkle a little extra cheese and a scoop of sour cream and enjoy! 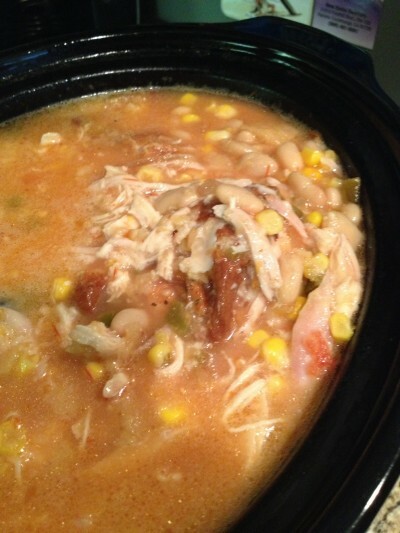 This entry was posted in Home, Main Meals, White Chicken Chili and tagged chicken, Chili, crockpot, Food, Recipe, recipes, soup by mrewilson. Bookmark the permalink. Delicious post.You have a wonderful about very interesting.Thank you for liking my recent post.Have a delightful new year.